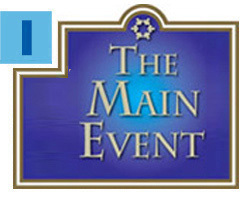 Don’t miss keynote speaker David Gregory at The Main Event on Wednesday, February 15 at the Hilton Downtown Miami! Chaired by Richard and Colleen Fain, The Main Event is the Greater Miami Jewish Federation’s largest community event of the year. Gregory, former moderator of NBC's Meet the Press and CNN political analyst, will share the Jewish journey he wrote about in How’s Your Faith, his critically acclaimed memoir. Grammy Award-winning violinist Miri Ben-Ari will perform. Click here for details and to RSVP. Repair the World is coming to Miami! Federation is partnering with this nationally renowned organization to encourage peer-to-peer engagement among young Jewish adults in Miami’s Midtown/Downtown/Brickell area. After opening successful programs in Detroit, Philadelphia and Pittsburgh, Repair the World will work closely with Federation’s Jewish Volunteer Center (JVC) and The Network, Federation’s Under-40 Division, to expand its social impact through volunteer recruitment and programming in the Jewish and general communities. Repair the World Miami is set to launch this summer. Read more. The Annual Federation/UJA Campaign has allocated nearly $300,000 to the Women’s Amutot Initiative, supporting 27 nonprofits in Israel that empower women and improve Israeli society by promoting social, economic, religious and political equality. Over the past 15 years, Federation has distributed more than $3.3 million through this initiative to support social change in Israel. For a full list of this year's beneficiaries, click here. 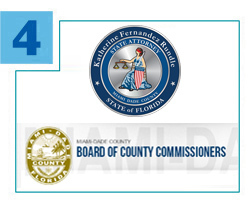 Did you know that Florida is commonly cited as one of the top three destinations of human trafficking in the country? As part of Human Tracking Awareness Month, Federation’s Task Force to Combat Human Trafficking, National Council of Jewish Women/Kendall Section and Hadassah Greater Miami along with Refuat Hanefesh, are collecting sweatshirts and blankets for victims in the Miami area. The items will be delivered to the State Attorney’s office on January 27, which has been designated as Miami-Dade Human Trafficking Awareness Day by Commissioner Sally Heyman. Federation’s Stanley C. Myers Building, the Alper JCC’s Health Center Lobby, Temple Beth Moshe and Temple Israel are designated drop-off locations. 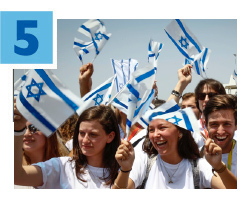 In 2016, Israel gained approximately 27,000 new citizens! Russian and Brazilian Jews are immigrating to Israel in record numbers. The majority (55 percent) of new citizens were under the age of 35. Funds from the Annual Federation/UJA Campaign help new olim (immigrants) with Hebrew-language instruction, housing and other resettlement needs.